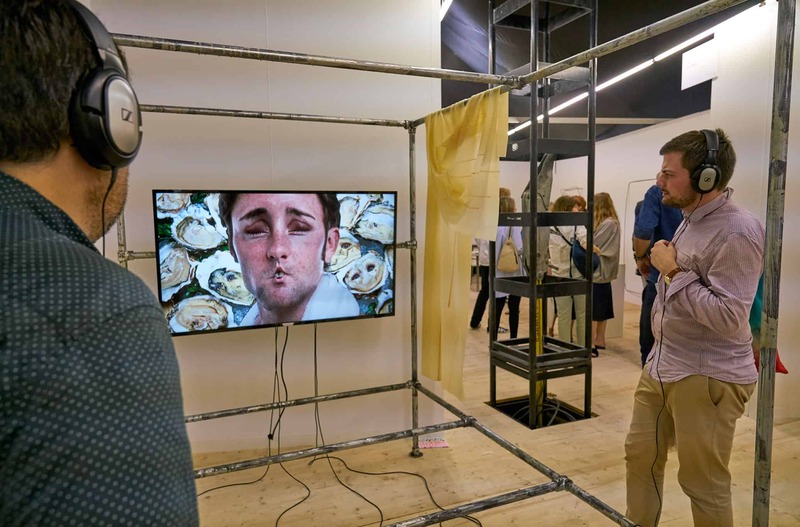 LISTE, the premier fair for emerging artists and galleries, has returned to Basel for its 23rd edition. Presenting a truly exciting selection of contemporary art, LISTE serves as a meeting place for important collectors, eminent art professionals, art lovers and artists. 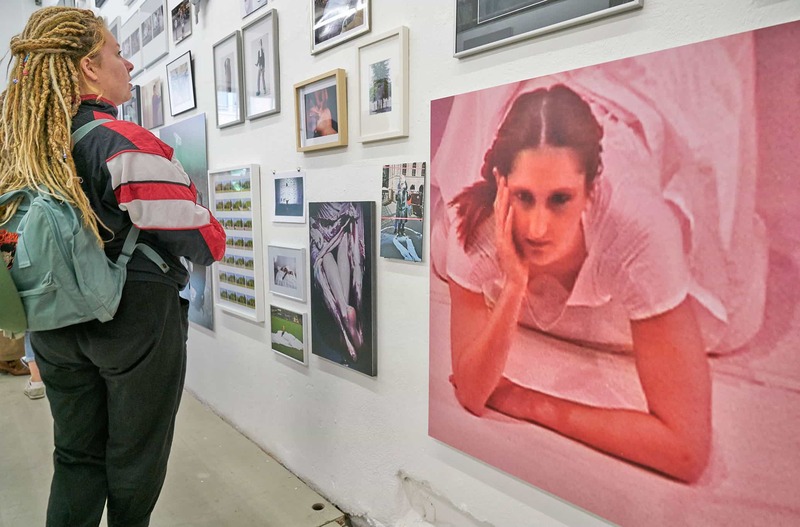 Every June collectors stream into Switzerland to take part in the Olympics of the art world. Unlike Art Basel, showcasing the finest examples of blue-chip art available, LISTE focuses on displaying the newest, least tested and most adventurous artworks. This year the fair has brought together 79 galleries from 32 countries, with works by over 170 artists. In addition to an extensive exhibition programme, LISTE 2018 also hosts a series of solo and group performances, introducing the world’s most promising young artists to an international expert public. 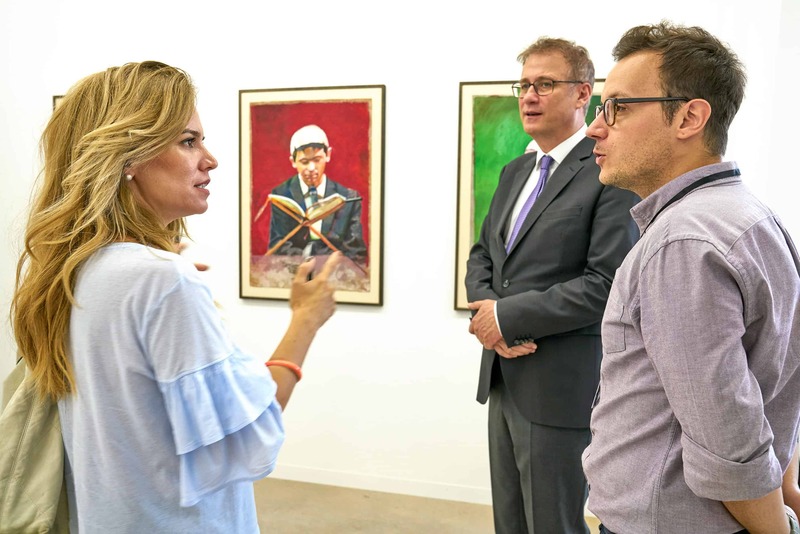 Contemporary Lynx spoke to Peter Bläuer, the Founder and Director of LISTE, to find out more about the fair’s highlights, its secretive selection process, why it is vital to support upcoming artists, and much more. Marek Wolynski: LISTE started nearly a quarter of a century ago and quickly gained an unquestionable position in the art world. Nowadays it is considered one of the most important international art fairs. What have you been doing to keep it fresh and attractive? Peter Bläuer: LISTE has committed itself to introducing the most interesting new galleries from around the world each year. Our visitors are, of course, always curious about who and what discoveries await them. Even the galleries from previous years introduce new, relatively unknown artists and that also makes things exciting and vital. Rather than always seeing the same well-known names, you get to meet new, exciting and interesting young artists. That keeps the fair young and attractive. We have a very good international network of advisors and consultants who keep us informed about the most interesting developments among young galleries. MW: Not only the number of participating galleries grew but also LISTE’s programme itself became even more varied over the years. What is the biggest difference between the first edition in 1996 and the 23rd edition this year? PB: Actually, we’ve been doing the same thing for 23 years. We concentrate on the quality of the art! And that is where we invest time and money. The fair has grown larger over the last 23 years. In 1996 there were 36 galleries from 12 countries. Today, there are 79 galleries from 32 countries. It is very important to us not only to present galleries from centres of the arts but also from countries and cities not located in art centres, from locations that are less frequent travel destinations for collectors and museum people or that are having a tougher time socially or politically, e.g., Lima, Shanghai, Cape Town, Porto, Pristina, Istanbul, Modica, Beirut, Tallin, Guatemala, etc. MW: Where do the best young galleries and artists presented at LISTE come from this year? How has this situation changed with time? PB: They come from around the world! After all, we only have the best! Laugh.. The world has grown smaller. Twenty-three years ago few people weren’t familiar with galleries from Africa, South America or Asia, and even Eastern European countries were rarely represented. And it is important to us to introduce galleries from these countries. MW: LISTE takes place in a historic building of Basel, an iconic old brewery. How does this special place function during the rest of the year while the fair is in preparation? PB: It was very difficult to find a site for the fair in this small city. In Basel there are no empty buildings. I was familiar with the Werkraum Warteck in the former brewery. A place with highly varied projects. There are artisans, small companies, a puppet theatre, a model-building studio, space for dance rehearsals, a hostel, etc. – and all of them pack up their spaces once a year, lease them to LISTE and we and our fair move in. Of course, I pay the rent, but all of that would be inconceivable without the good will of the people in the Warteck. A wildly crazy undertaking, very involved, but also very special. By the way, there is a very nice documentary on all this here. Die LISTE und der Werkraum Warteck pp from Werkraum Warteck pp on Vimeo. MW: LISTE is well-known for its high-quality presentations achieved through a rigorous selection process involving museum professionals rather than gallery owners. What does the selection process look like? PB: That is one of the most interesting tasks we have each year! The museum experts and the new artists sit down together, study the applications and select the most interesting galleries. There are exciting discussions about quality and changes. At the same time, we place a great deal of value on the stand presentations. We don’t want “mixed wares” stands; rather, we prefer small exhibitions with 1-3 artists per gallery. Thus, one-third are solo presentations. For our visitors, such presentations are much more informative and highly enjoyable than a smorgasbord of works. As previously mentioned, we have a loyal and professional network of advisors and consultants who keep us up-to-date on the most exciting trends. MW: How much does it cost to participate in the fair? How can Friends of LISTE be of help to new galleries? PB: We are the only fair worldwide that has graduated pricing. So galleries don’t pay for square footage; rather, the price is calculated according to year of participation. For first-time participation, it costs about CHF 7,000 and that price goes up each year, topping out at CHF 12,000. In this way, the older galleries support the younger ones financially. To provide even more support to galleries, we founded an association of friends. 100% of membership contributions are used for the galleries. 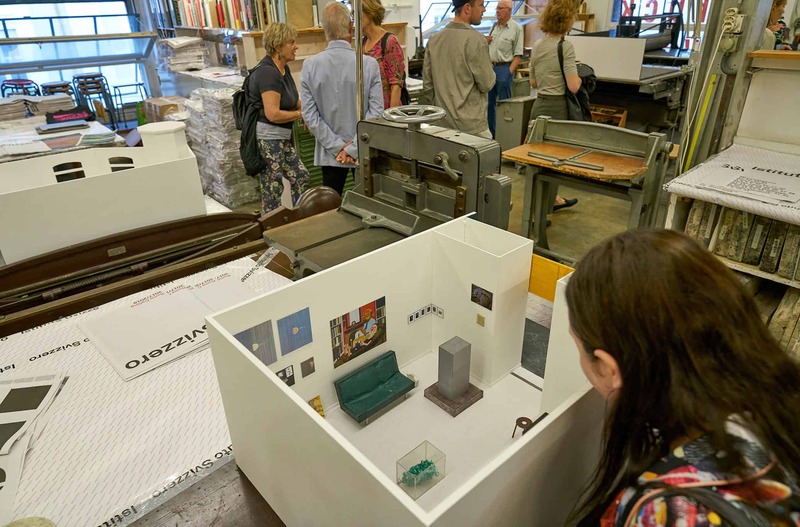 This year, the organisation was able to provide a price reduction of CHF 2,000 to galleries hosting a special project. MW: What are the most visible trends on the art market at the moment? Is digital art and performance art (re)gaining its popularity among collectors? PB: Painting – the classical and tradition medium – still has a strong presence. Of course, the Digital Native generation is reflected in that. The inundation of images – through social media and the media world have in general left their mark in the medium painting. Digital art and performance are still being sold at a lower rate than the traditional media. Many collectors are conservative in their acquisition behaviour. Nevertheless, giving a platform to art that is somewhat difficult to sell is near and dear to our hearts. Art is, after all, multifaceted, isn’t it? MW: Does the art presented at LISTE reflect the current political and economic turmoil in Europe? 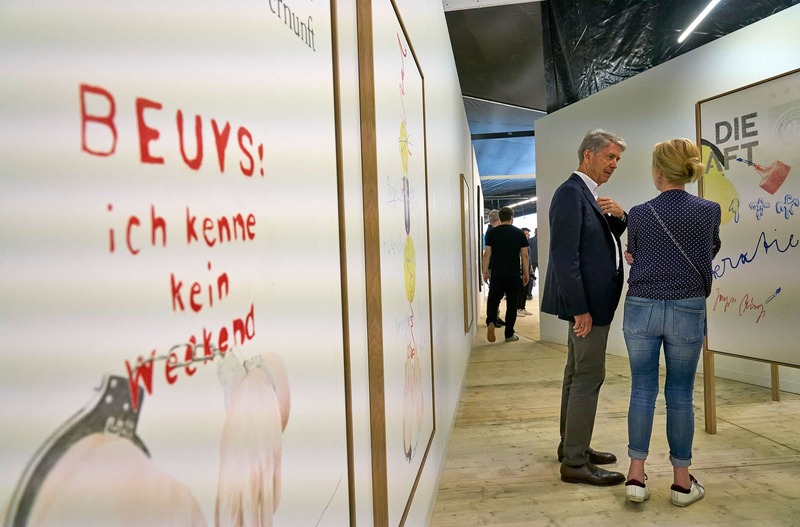 Or perhaps, thanks to its prime location in Switzerland, the art fair is less affected by the uncertain future of the EU and conservative tendencies on the rise? PB: Switzerland as a “small island” is, of course, affected by all the turbulence. The weak euro is driving up the value of the Swiss franc, which is not the greatest for our gallerists. There are certainly works that make reference to our political and social situation. Art does indeed always reflect our times. But aside from that, there is, of course, art that deals with art itself. MW: This is the last edition of the fair with you as the director, later on you will become the vice president of its board. As LISTE’s founder and a visionary, where do you see the fair in ten years? PB: What do we really know about how things will look in 10 years? At the moment, the world is rather ‘fragile,’ there are a lot of dangers lying in wait. The economy and, consequently, the art market are sensitive to that fact. But LISTE will continue to develop and respond to whatever the circumstances are. The foundation, LISTE’s new proprietor, in collaboration with the new management will focus even more on how it can help young galleries and young artists. 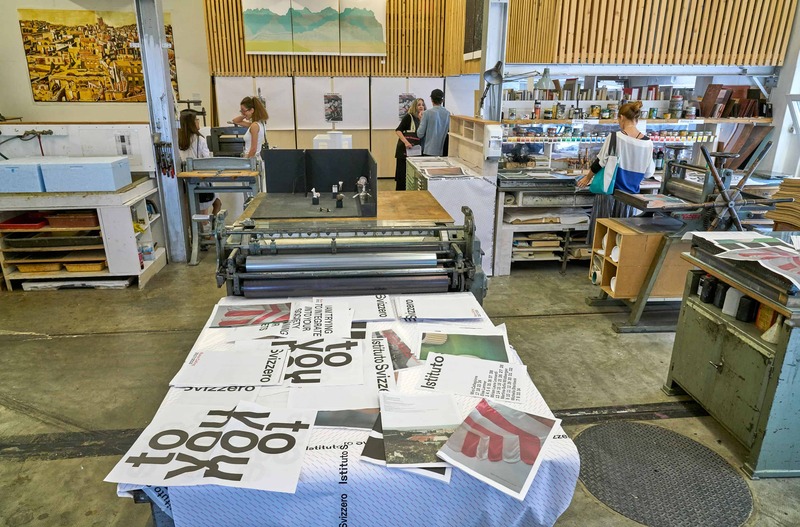 For artists, there are a lot of promotional models – for the galleries that are, in the end, working hard to make sure artists can survive in the art world, there is little promotion. 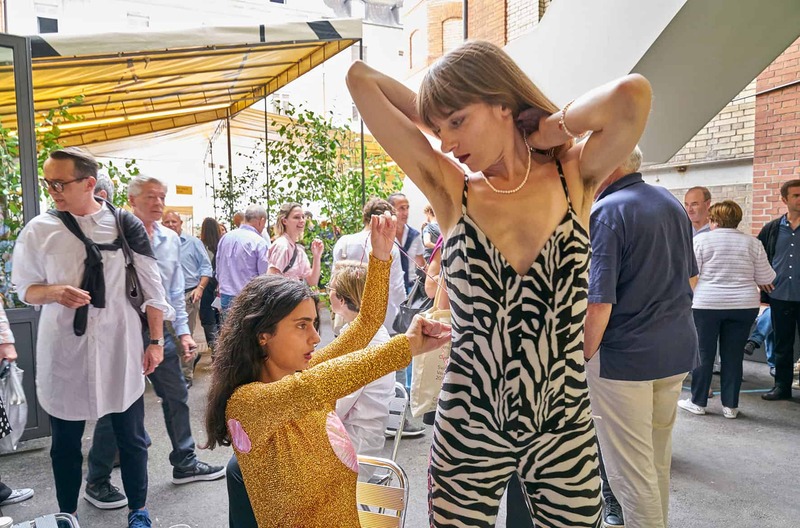 If we want both young artists and young galleries to be able to gain a foothold in the art world, then it is imperative that we be concerned about that. Blockbusters alone are, after all, not very interesting.